Why Are Display Ads So Darn Effective? | ASTRALCOM - Content Strategy, Conversion Marketing and Customer Acquisition. Of all the main digital advertising tactics, display ads have a unique difference because they typically contain some sort of graphics. But that isn’t their only distinction. They actually have a more unique merit that other digital channels cannot even come close to. I know what you’re thinking. You’re thinking that this cannot be about the banner ads in websites that everyone ignores without having any effect on users. This is where popular opinion is mistaken. While we’ve long believed in the power of display ads, which for us is based on the outstanding results we deliver for our clients, there is some interesting information in Robert Cialdini’s book Pre-Suasion that helps clarify some reasons why display ads are so effective. What? Not recognized, nor recalled? How can that be? So, it’s the below-the-radar effect which is actually the really important distinguishing factor that display ads possess. It makes sense, too, especially given the high click-thru rates on remarketing ads. 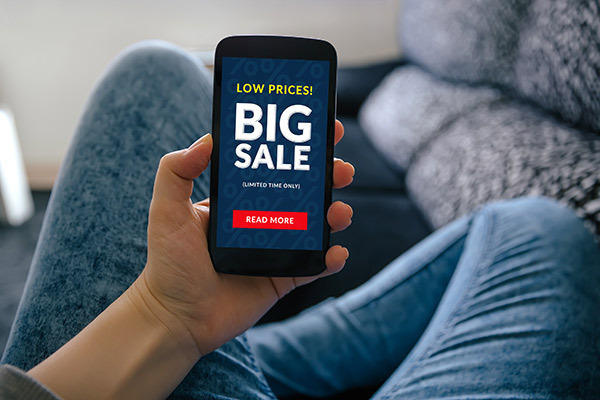 From a competitive perspective, the sooner you can get your banner ads in front of potential customers (before they see the competitions’ ads), the better chance your brand has at establishing preferences earlier in customers’ minds. In a manner of speaking, like an iceberg; if we can affect the 90% of the mind that is below the surface line of conscious perception, we can more easily – even effortlessly – affect the top 10% that is conscious perception. This is essentially what Cialdini means by pre-suasion. Knowing this, we can create display ads for direct and remarketing efforts that drive better than average click-through’s and higher than normal conversions. Start getting better results with your display advertising efforts. Click or call us and we’ll help you.